Each year, you have a chance to make changes to your Medicare Advantage or Medicare prescription drug coverage for the following year. The open enrollment period for Medicare for 2018 coverage began on October 15, 2017 and will continue through December 7, 2017. During this annual enrollment period you can make changes to various aspects of your coverage. If you didn’t sign up for Medicare A and B when you were first eligible, you have a chance to do so each year from January 1 to March 31, with coverage effective July 1. You may be subject to a late enrollment penalty however. For Medicare Part B, the penalty is an additional 10 percent of the premium for each 12-month period that you were eligible but not enrolled. Will I Automatically Receive Medicaid When I Receive SSI? Federal law requires States to provide health insurance to certain groups. Medicaid is a program which provides health insurance to low-income individuals who are 65 or older, are blind, or disabled. However, whether a disabled individual automatically receives Medicaid coverage depends upon which state they reside in. For example, in thirty-two states and the District of Columbia, individuals who are eligible for Supplemental Security Income (SSI) are also eligible for Medicaid. The application for SSI serves as the application for Medicaid. As a result, resident in these states will automatically receive Medicaid coverage with SSI eligibility. However, the following states require a separate application for Medicaid, although these states use the same eligibility criteria that the Social Security Administration (SSA) uses for SSI eligibility: Alaska, Idaho, Kansas, Nebraska, Nevada, Oregon, Utah, and the Northern Mariana Islands. As a result, in addition to applying for SSI, residents of these states will need to file a separate application for Medicaid, typically through the health insurance marketplace or through the state’s Medicaid agency. On the other hand, some states apply their own criteria for Medicaid eligibility. These criteria differ from those used by the SSA. Such criteria may include: household size, household income, assets, age, and medical need. Residents of Connecticut, Hawaii, Illinois, Indiana, Minnesota, Missouri, New Hampshire, North Dakota, Ohio, Oklahoma, and Virginia must file an application for Medicaid separate from their application for SSI. 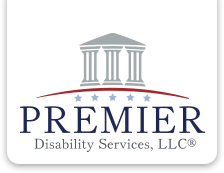 If you or someone you know is struggling with increasing medical costs due to an ongoing disability, please contact us today for a free case evaluation! Around 4.4 million children receive approximately $2.5 billion each month because one or both of their parents are disabled, retired, or deceased. Those dollars help to provide the necessities of life for family members and help to make it possible for those children (dependents) to complete high school. When a parent becomes disabled or dies, Social Security benefits help to stabilize the family’s financial future. Your child can get benefits if he or she is your biological child, adopted child, or dependent stepchild. A parent(s) who died after having worked long enough in a job where he or she paid Social Security taxes. 18 or older and disabled (if the disability started before age 22). Benefits stop when your child reaches age 18 (unless your child is a student or disabled). If your child is a student: Three months before your child’s 18th birthday, Social Security will send you a notice that benefits will end at age 18 unless your child is a full-time student at a secondary (or elementary) school. If your child is younger than 19 and still attending a secondary or elementary school, he or she must notify Social Security by completing a statement of attendance that has been certified by a school official. The benefits then will usually continue until he or she graduates, or until two months after reaching age 19, whichever comes first. If your child is disabled: Benefits will continue at age 18 to a child who is disabled. Childhood disability benefits are also payable after attainment of age 18, if the disability began before the age of 22. How much can a family get? Within a family, a child may receive up to one-half of the parent’s full retirement or disability benefit, or 75 percent of the deceased parent’s basic Social Security benefit. However, there is a limit to the amount of money that can be paid to a single family. The family maximum payment is determined as part of every Social Security benefit computation and can be from 150 to 180 percent of the parent’s full benefit amount. If the total amount payable to all family members exceeds this limit, each person’s benefit is reduced proportionately (except the parent’s) until the total equals the maximum allowable amount.